A man flies a kite in front of Shanghai's famous skyline. 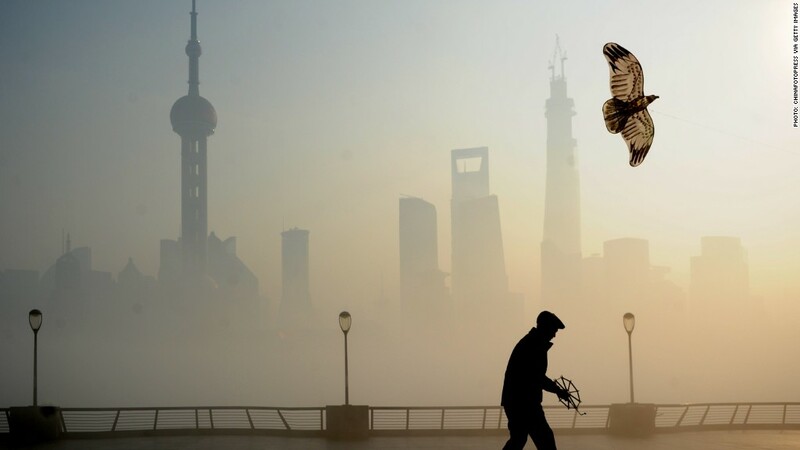 Home to more than 20 million people, the city of Shanghai has been blanketed by a thick layer of smog for days. Reduced visibility has resulted in hundreds of canceled flights, and health worries have prompted schools to close. A change in weather patterns is causing conditions to improve, but air in the city is still classified as unhealthy for sensitive groups.